The device position finder displays the location of the device with an incredible accuracy. No GPS, nor connection to the radio or phone network are necessary, thanks to a special approach to locate the device. 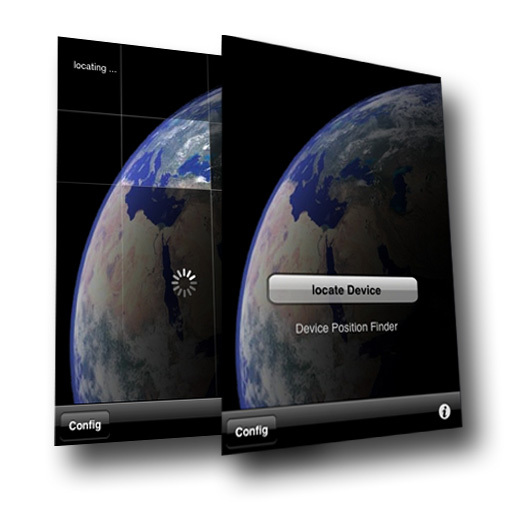 The application therefore works for iPhones as well as the iPod Touch. The highly sophisticated implementation and the unique locating experience make this app particularly suitable for demonstration at your local pub. You will love it. Only a fun-App, no deep use, no real functionality, but if you love senseless Apps than take this one! It's fun - nothing more, but fun. Get them from App Store and have fun!